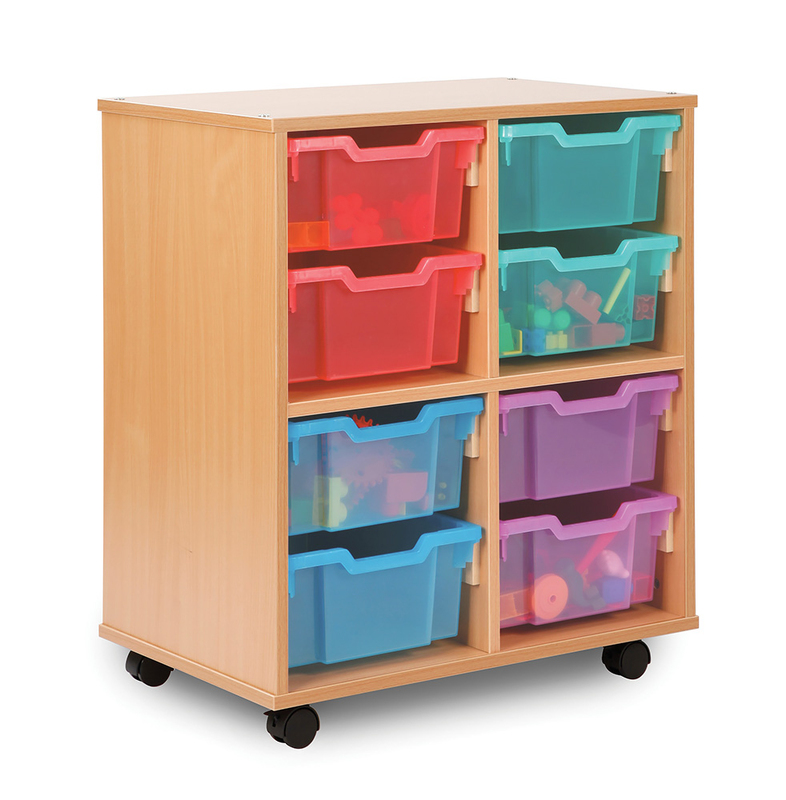 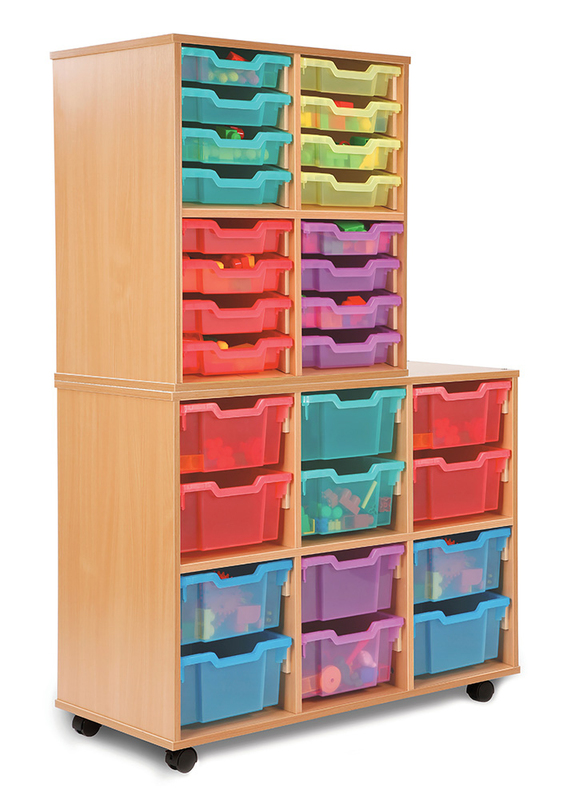 The Allsorts Stackable classroom storage unit is available with 8 or 12 deep Gratnells trays, great for storing classroom materials in schools, preschools and nurseries. 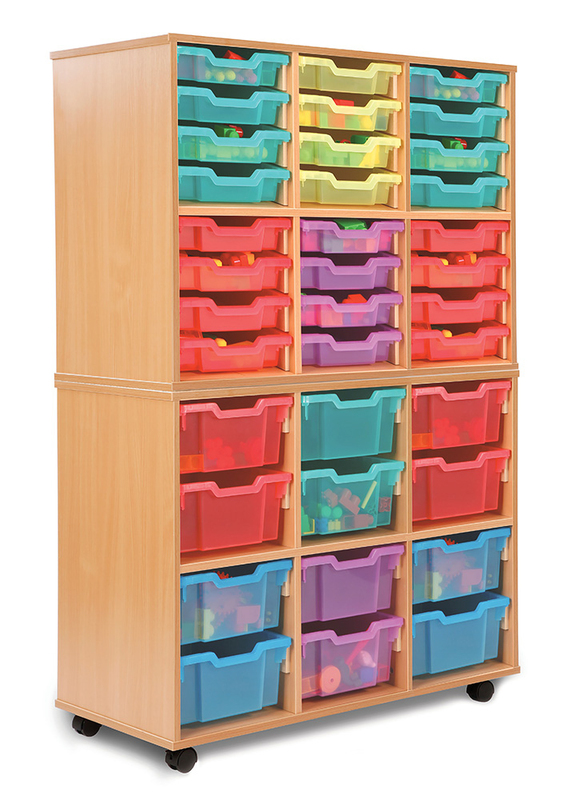 The Allsorts stackable range allows you to mix and match storage units to build a bespoke storage wall to suit your storage needs. 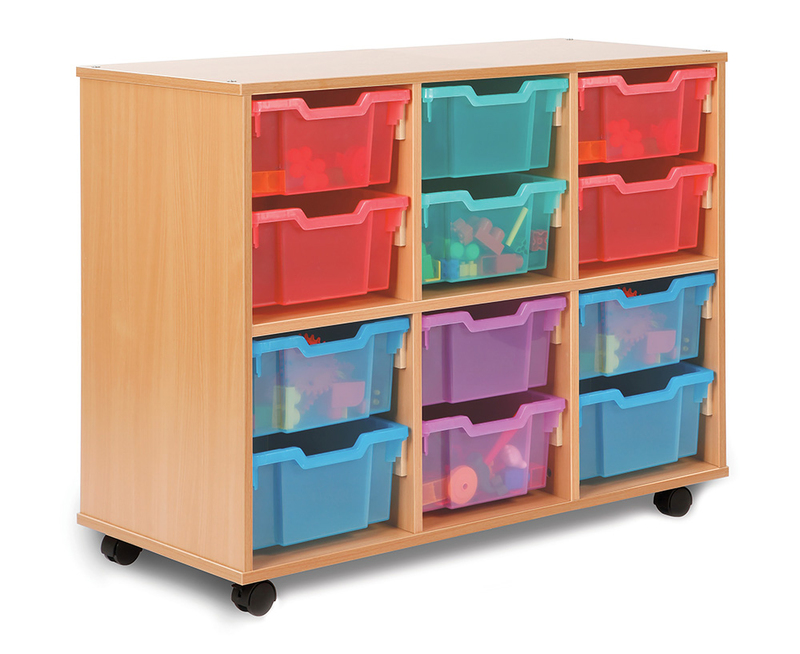 Constructed from 18mm MFC in a modern beech colour. 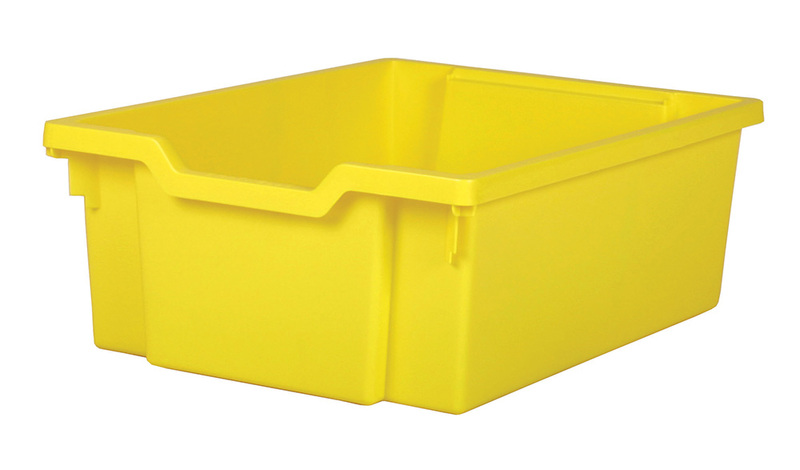 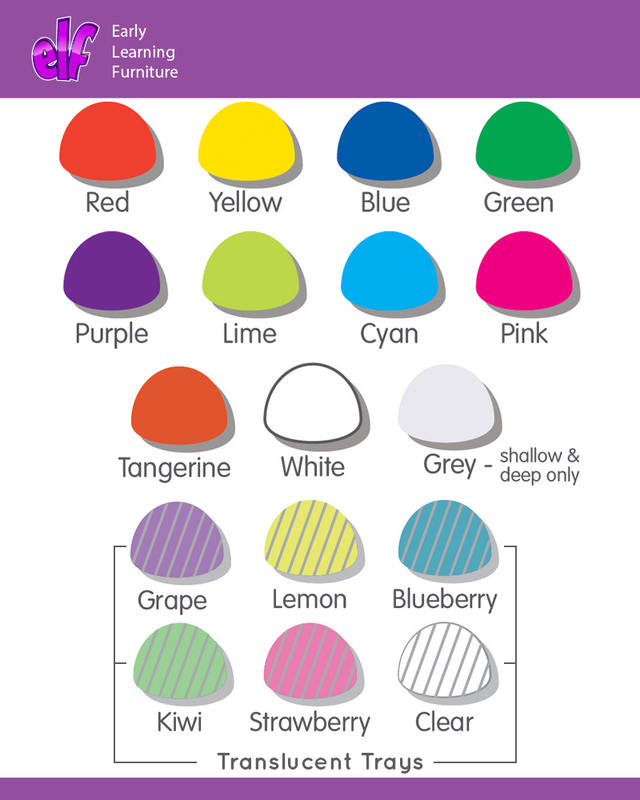 Choose from 16 eye catching tray colours to brighten up your classroom space. 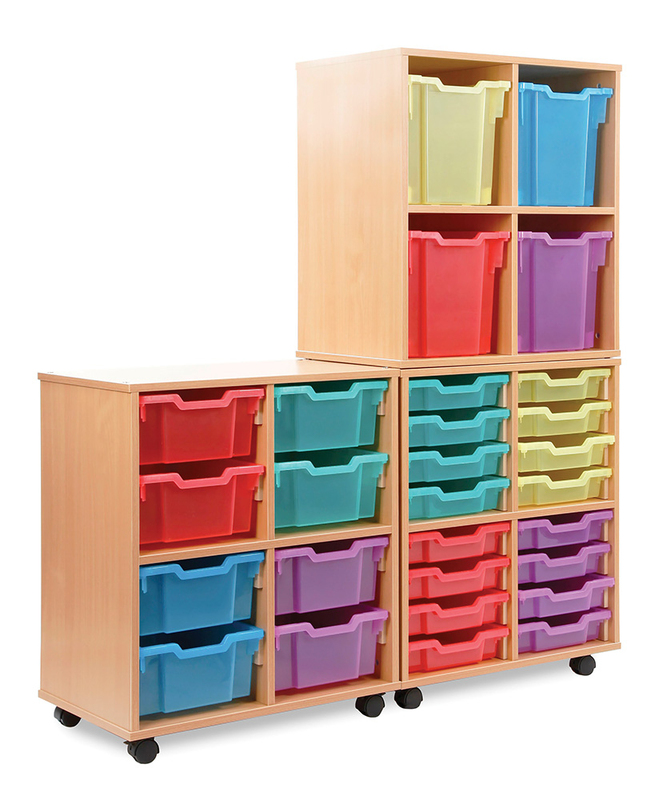 Within the Allsorts range there is jumbo tray storage, shallow tray storage, shelving and a book holder with 5 book slots which you can mix and match and stack together to create your own storage space.